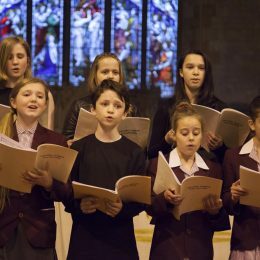 Choral singing is an important part of the Caterham School music department and our choirs sing a wide range of musical styles- from early church music to gospel. Aside from church services, choirs perform at the annual ‘Music & Dance Live!’ evening and the Musical Theatre Evening. An annual performance takes place after the Remembrance Service in a moving Recital of Reflection & Contemplation. 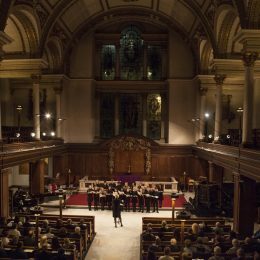 Our Chapel Choir and Chamber Choir regularly tour in Europe and concerts take place in central London. In 2017, these choirs gave memorable concerts in Prague, Czech Republic and in 2018 they performed in Flanders, Belgium and gave a heart-stopping performance under the Menin Gate. Most recently the choirs have sung Evensong at Chapel Royal, Hampton Court and undertaken a tour to Cologne and Bonn, Germany. Our auditioned, a capella mixed voiced choir sings early church music by composers such as Purcell and Tallis. The choir has been heard on BBC Radio and in 2017 they toured to Prague where they gave a stunning performance of Allegri’s Miserere. Choral singing days and workshops are offered to Chamber Choir; including an annual workshop with Apollo 5, a professional a capella group. The Eric Thiman Singers (ETS) is an auditioned chapel choir set up in 2010 as a tribute to Old Caterhamian Eric Thiman, composer and organist. They have toured in Europe to Paris, Brussels and Prague and they have performed at some impressive venues. The choir played a major role in the School’s bicentenary celebrations and sang as part of the service at Westminster Abbey and at a celebration concert at St John’s Smiths Square. They also sang for the Duke of Kent when he visited the School. 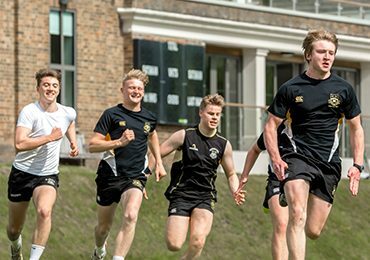 The choir is made up of singers from both the Prep and First to Third Year pupils in the Senior school. 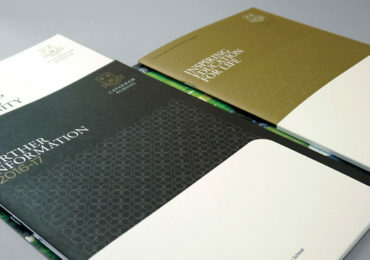 ETS performs annually at the St. Christopher’s Music Festival in Epsom and regularly appear in the Caterham community. ETS recorded an album of the works of Eric Thiman in 2016 and this was released on CD. The album is also available on Itunes and Spotify. 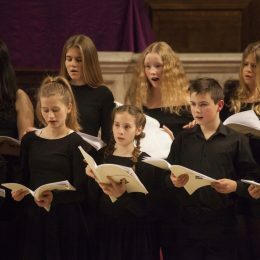 Previously the mixed-voice senior choir, Vocalpoint performed large scale choral works such as Howard Goodall’s ‘Requiem’ and Mozart’s ‘Great Mass in C Minor’. Together with the E.T.S. 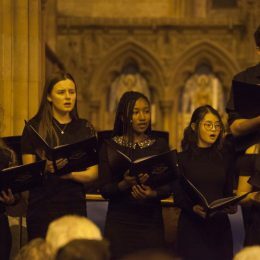 the choir played a major role in the School’s bicentenary celebrations and sang as part of the service at Westminster Abbey and at a celebration concert at St John’s Smiths Square. Together with other Caterham School choirs, Vocalpoint has performed Faure’s ‘Requiem’ and a jazz setting of a mass by Steve Dobrogosz. Vocalpoint is now a girls’ choir who perform musical theatre, pop and gospel songs. Recent highlights have been their performances in the Live Lounge concerts and a stunning performance of Handel’s ‘Ombra mai fu’ together with the string orchestra. 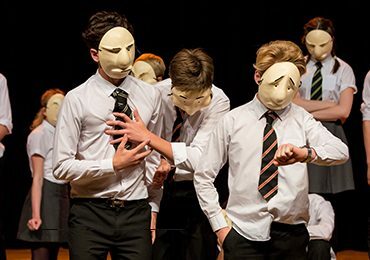 Close Harmony welcomes Caterham’s aspiring male singers in the First Year to Upper Sixth exploring modern repertoire and bringing the genre up to date. They have performed across the school calendar showcasing their beautifully blended sound. Recent highlights include their show-stopping performance of ‘My Shot’ from Hamilton, the musical.